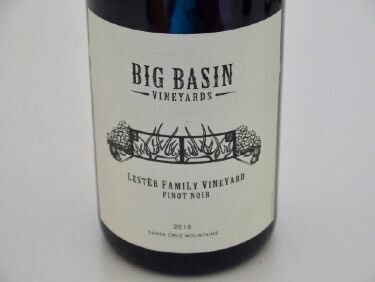 Whole cluster fermentation of Pinot Noir can be a risky proposition but Big Table Farm and Big Basin Vineyards are committed to it “big time,” and their results are stunning. The potential advantages of whole cluster fermentation include exotic aromatics, silky smooth tannins, and more lengthy and cooler fermentations that impart a different and enchanting flavor profile. I had the opportunity to taste current releases from these two wineries a few days apart, and although the wines from the two wineries are quite different in several ways, they do share a commonality only found in whole cluster fermented Pinot Noir. 100% whole clusters of Pinot Noir are commonly employed. The whole berries and whole clusters are cold soaked for up to a week before being heated up to start the spontaneous indigenous yeast fermentations. The juice is pumped over and hand punched down, and the wine is gently pressed off the skins after 15 to 30 days of skin contact. The wines are only racked once to oxygen-free bottling tanks for bottling unfined and unfiltered. The whole process is truly non-interventional resulting in truly artisanal wines. Tasting is available at the winery’s Saratoga Tasting Room and the Estate Vineyard and Winery Tasting Room in Boulder Creek. Visit the website at www.bigbasinvineyards.com for more information. 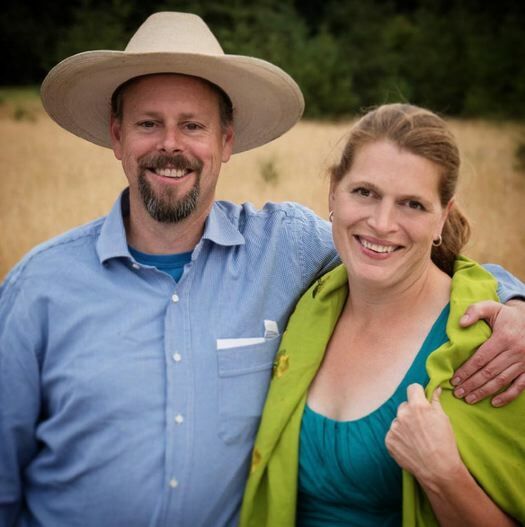 Brian Marcy and Clare Carver departed Napa in 2006 and moved to Oregon. Brian was an experienced winemaker and Clare had artistic talent and a way with animals. They bought a 70-acre property in the northern Willamette Valley, where they now produce Pinot Noir, Chardonnay and Pinot Gris, raise farm animals and produce seasonal vegetables. Their business model is one to envy although the couple is not trained or by nature business people. They host consumers for tasting in their more than 100-year-old farmhouse, enjoy entertaining visitors outdoors for meals at a “big table,” (Brian is also an accomplished chef), vinify outstanding wines in a barn-like winery on their property, and offer hand-drawn labels by Clare with artwork that is unique to each vintage. 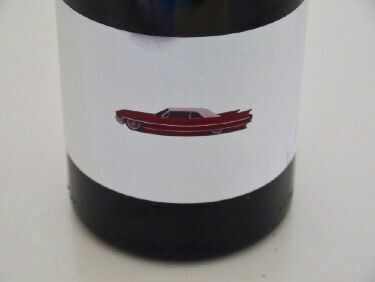 After a label is applied by hand, each bottle is carefully wrapped in tissue to preserve the letterpress paper’s texture and beauty (a product code on the bottom of each bottle allows identification of the wines without unwrapping them). The winery’s website is one of adept design and concise content. Even the name, Big Table Farm, is attention-grabbing. The biggest news of late is that a vineyard is being planted on the estate property behind the winery. This was part of their vision from the beginning. I have visited the winery on several occasions and tasted most every bottling since the first wines from the 2006 vintage. I have never been disappointed in the quality of the wines and have touted them repeatedly in the PinotFile. Brian doesn’t even own a de-stemmer and does not tout that his Pinot Noirs are 100% whole cluster, but he is committed to this style of Pinot Noir winemaking. 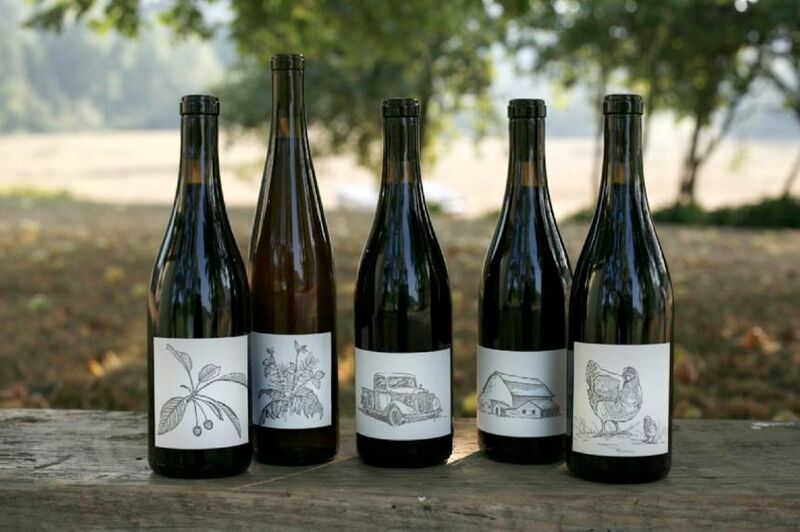 Big Table Farm wines are sold through a mailing list or directly with the winery. Call or email Clare or Laura to purchase at admin@bigtablefarm.com or call 503-662-3129. Free case shipping. Tasting is by appointment. The wines reviewed here are from the fall 2018 release. Brian says, “These wines all have their own quirks and characteristics that make them unique and delicious in their own way,” and I agree completely. William Wrigley, Jr., of Wrigley Co. chewing gum fame, bought Santa Catalina Island Co., owners of all the developable land on the island in 1919. Alison Wrigley Rusack, William’s great-granddaughter, along with her husband Geoffrey Rusack, owners of Rusack Vineyards and Winery in Solvang, California, established a vineyard on the island in 2007 at El Rancho Escondido, a working Arabian horse ranch used for Wrigley’s horses and founded in 1930. 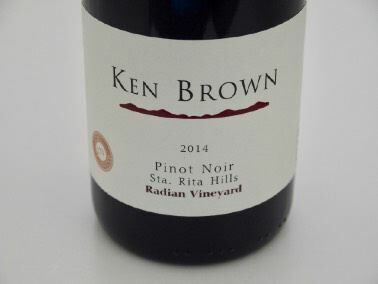 The initial planting included three acres of Pinot Noir, 2 acres of Chardonnay and one acre of Zinfandel (using cuttings from Santa Cruz Island in the Channel Island chain). 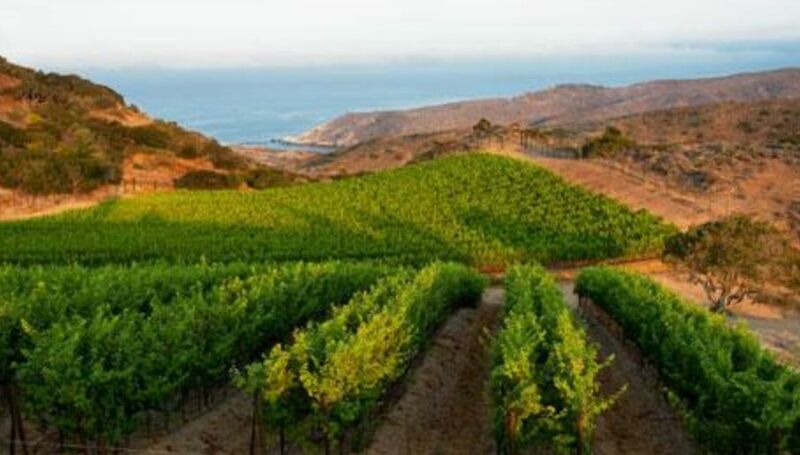 No one had previously made wine from Santa Catalina Island, but it turned out that the cool climate and clay loam soils were ideal for Chardonnay and Pinot Noir. The inaugural harvest was from the 2009 vintage. 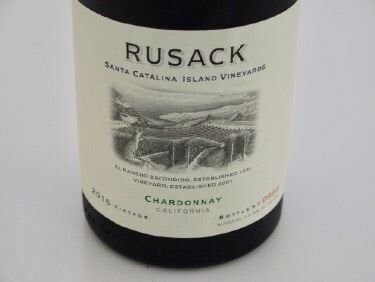 After picking, the grapes were airlifted to the Santa Ynez Airport for processing at the Rusack winery by winemaker Steven Gerbac. Visit the winery tasting room in Ballard Canyon that is open daily. Tasting fee is $15. The setting is ideal for picnics. The winery website is www.rusack.com. 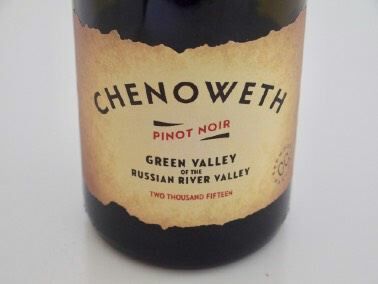 I wrote an extensive article on this iconic Oregon winery in 2016: www.princeofpinot.com/article/1858/. 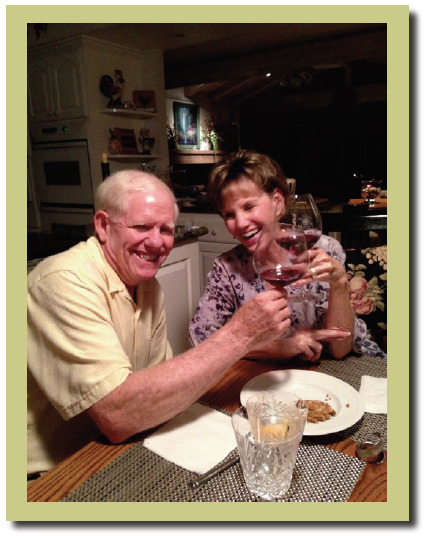 Manager Janie Brooks Heuck and winemaker Chris Williams (since 2005) have carried on the legacy of deceased founder Jimi Brooks admirably. The winery is known for its hospitality center that features multiple venues for wine tasting as well as impressive food pairings. 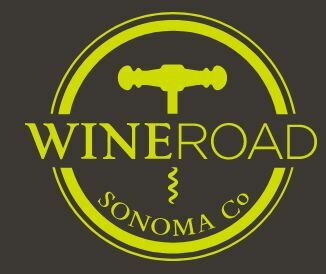 For the winery’s 20th anniversary in 2018, the winery is hosting a number of special events and monthly programming to celebrate those winemakers who donated their skill, time and passion after Jimi’s passing in 2004. “The Legacy Series” continues October 27 with winemakers Cheryl Francis and Sam Tannahill, the people behind Rex Hill, A to Z Wineworks and Francis Tannahill. They will be pouring their wines at Brooks Winery on that date. Check out the winery’s full calendar of events at www.brookswine.com. The 2015 vintage was quite manageable in the Eola-Amity Hills where Brooks and many of its grape sources are located. The season was marked by plenty of sunshine, drought conditions, a late-season heat wave and a rain-free harvest. The result was wines of richness, that is, Oregon typicality turned up a notch. Tasters have often used the words “showy” and “opulent” to describe the wines. The 2016 vintage was similar to 2015 but had one of the earliest harvests on record. Early bud break and a short heat spell at bloom condensed the flowering period resulting in a smaller fruit set. Summer had average conditions with fewer heat spikes than the 2015 vintage. The harvested grapes showed good concentration and high natural acidity. A new winemaker, Jill Russell, has taken over the reins at Cambria Estate Winery (the wines reviewed here were crafted by the previous winemaker, Denise Shurtleff). 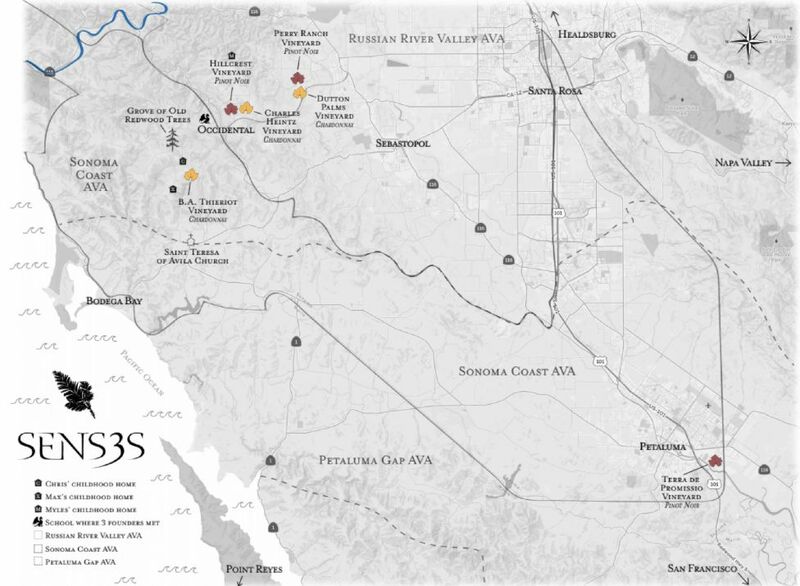 Since the winery’s founding in 1986, the focus has been on single-vineyard expression from the winery’s estate in the Santa Maria Valley AVA. Every wine is sustainably grown, produced and bottled at the estate. 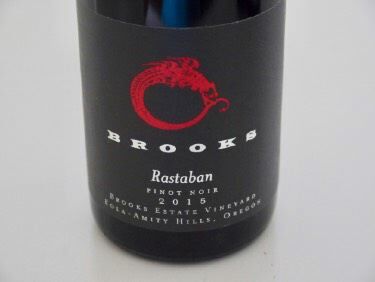 The wines pay homage to the winery’s founders, Jess Jackson and Barbara Banke, who named the vineyards at Cambria after their daughters Katherine and Julia Jackson. 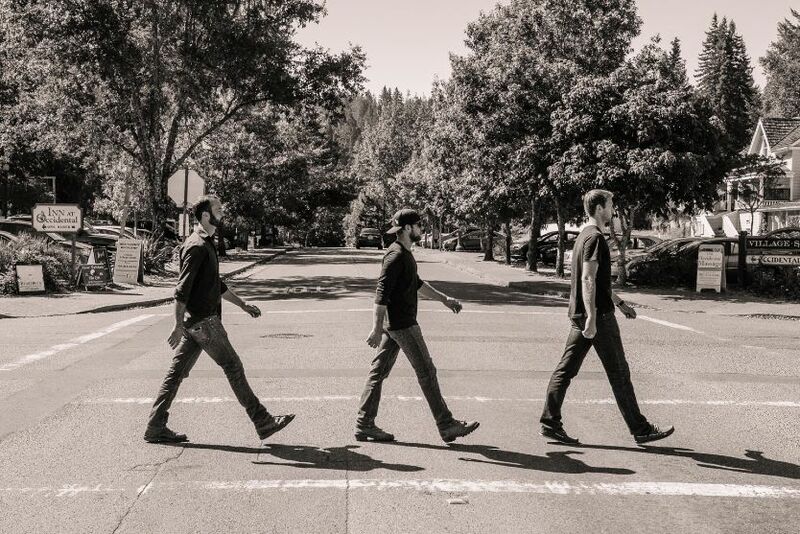 A family-owned boutique winery with a tasting room in Forestville and a production facility in Healdsburg. Winemaker is Josh Bartels. Noted winemaker Thomas Rivers Brown crafts these Pinot Noir and Chardonnay wines. If you like Rivers- Marie wines, also crafted by Thomas, you will enjoy the Senses wines. Wines are offered to the currently large active mailing list twice a year in the Spring and Fall. The wines are also placed in top restaurants across the world including the French Laundry and Le Berdardin. 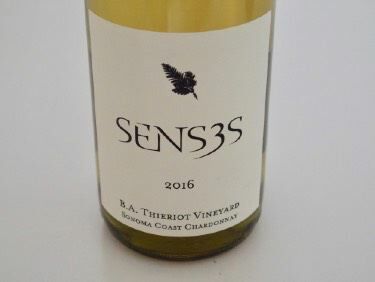 Visit www.senseswines.com. Pinot Noir winemaking features whole berry fermentation, and aging in once and twice-used French oak barrels for 10 months. 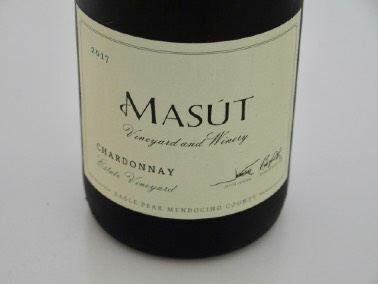 Chardonnay undergoes 100% malolactic fermentation and is aged in French oak barrels for 12 months. Winemaker James MacPhail (formerly MacPhail Wines), currently has several projects in the works. Tongue Dancer Wines has a new “Grapewagon Pied-á-Terre tasting room at the winery in Healdsburg with all tasting reservations available through the website. He is also the winemaker for Sangiacomo Family Wines (first vintage was 2016), The Calling Wines beginning with the 2016 vintage (previously Dan Goldfield), Crescere Wines (first vintrage 2016) and 8 Hand (first vintage 2017). For more information, visit www.tonguedancerwines.com. These two wines are the remaining releases from the 2016 vintage. 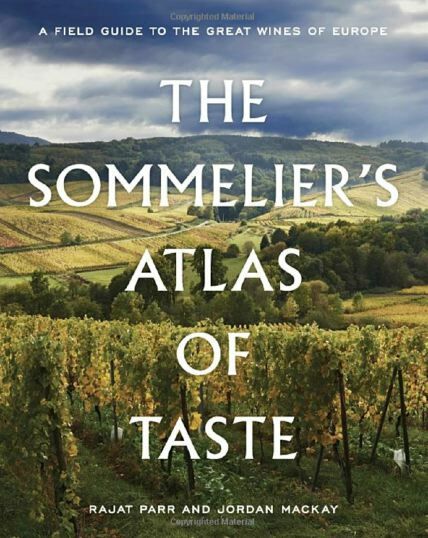 Readers have asked for a quick overview of scores and prices of reviewed wines in each issue since they may not have the time or inclination to read the entire issue upon publication. Here are the top scoring wines. Let me know if you find this valuable. If the man in a marriage has a Pinot Noir buying habit, it may be prudent for him to get his wife hooked on Pinot Noir as well. As the cases of Pinot Noir accumulate in the house or garage after allocations are delivered, the wife will certainly take notice. Her ears will perk up when the UPS delivery person knows the husband by his first name. Pretty soon you may see an equal number of shoe boxes arrive by UPS from Nordstrom. She may feel the husband is spending a larger share of the household’s booty. If you find yourself in this predicament, there are subterfuges that can be utilized. One can employ any one of a number of excuses for the wine boxes arriving at the house such as, “It’s not all my wine. I bought some for my friends who are sharing my allocation.” Or, “I bought the wine for a special wine dinner for my wine club and I will be reimbursed.” Or, “I am selling some of my wine at auction to pay for this.” Or, in desperation, “The wine was on sale.” The latter puts you on shaky ground, because although your wife can relate to this, desirable Pinot Noir is never on sale. Never, ever tell your spouse the price you paid for the Pinot Noir. Do not leave a copy of the PinotFile lying around where it can be easily perused. Other options include having your Pinot Noir sent to your place of business although this will raise eyebrows among other employees unless you share the wine with them. 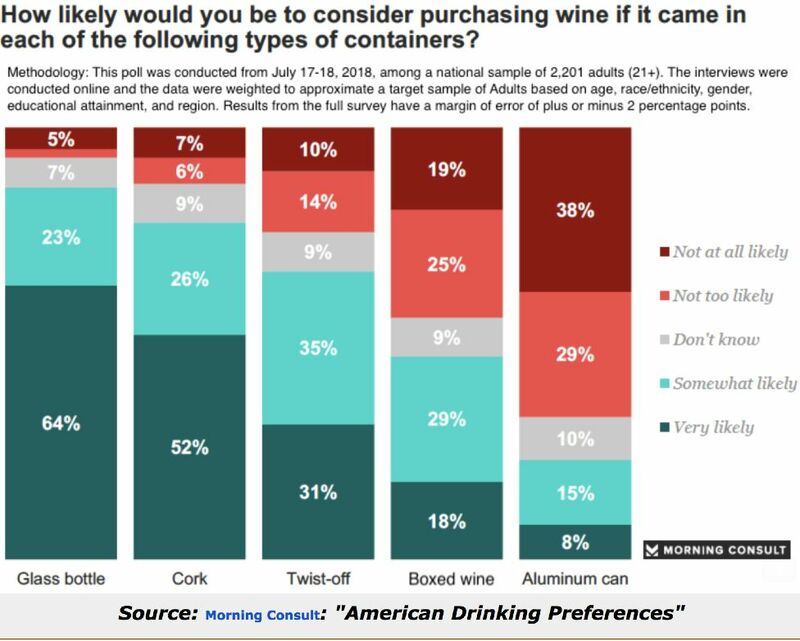 More costly, but certainly advantageous, you can rent a wine locker and have your wine sent there without your spouses’ knowledge. The best solution is to get your spouse interested in Pinot Noir. Wean her off Chardonnay. Good things happen when you drink Pinot Noir. Pour nice examples into proper stemware, and turn on some good music. Make it an event. After you have piqued her palate, she will want to move up to the “best” examples of Pinot Noir. Once she is hooked on really sumptuous Pinot Noir, there is no turning back. You will have achieved marital bliss and become a lucky man.